At MLMLeadSpecialist we offer the best and the most qualified Cryptocurrency/Bitcoin Phone Interviewed leads, custom created for your Cryptocurrency money making opportunity. Unlike our competitors who use an automated dialer to generate prospects, we use real telemarketers in our in-house call center. 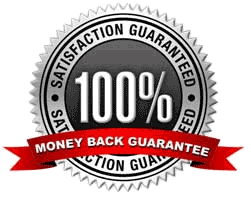 This is a costly but proven method to generate more qualified and reliable custom leads. A prospect visits our website and completes a form expressing interest in starting his/her own home based business. The prospect is then contacted by a telemarketer in our in-house call center. If the prospect expresses an interest in starting a Cryptocurrency/Bitcoin money making opportunity and agrees to receive both an email and a phone call, then and ONLY then, are they added directly to your online account. During this process we share your name and your phone number with the prospect. The telemarketer posts the prospect's information to your MLMLeadspecialist account and also sends a text message (SMS) to your cell phone with the prospect's contact information. This allows you to contact them immediately.